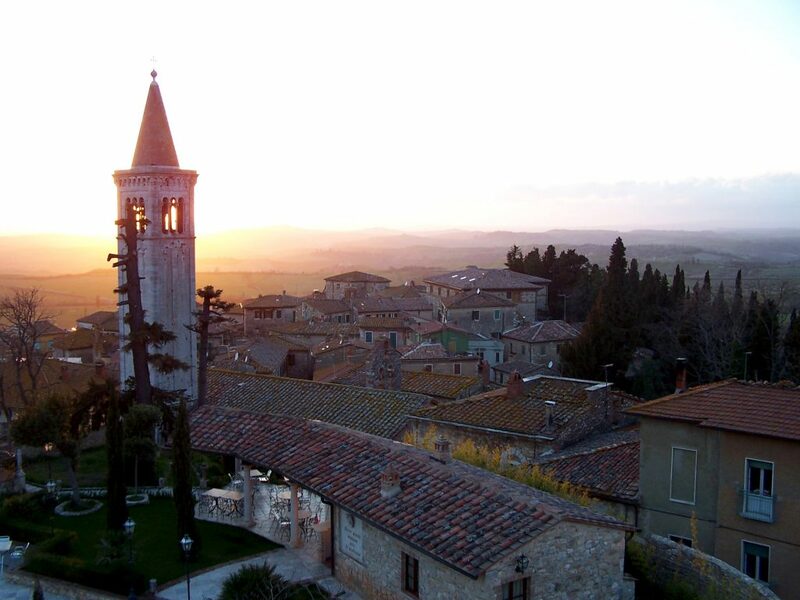 Stay in Dario's 10th century monastery in the heart of Tuscany! Nestled in the hills at the confluence of three valleys 23 miles east of Siena in Tuscany is Monastero di Coriano, built more than 1,000 years ago. It remained a fortified monastery in the Augustian Order of the Catholic Church until 1650, when the order was abolished by the Pope, as it rivaled his power. It then became a farm. Dario Sattui, owner of V. Sattui winery and Castello di Amorosa, bought it in 1991. Special pricing for V. Sattui Winery Guests: $275 per night including all taxes for a 1-6 night stay, and stays 7 nights or more at a rate of $250 per night including all taxes. This rental cannot be reserved by calling either V. Sattui or Castello di Amorosa. Early reservations are highly recommended to secure desired dates. A $350 deposit is required at booking, which applies towards rental of the property. Payment due in full at least 60 days prior to occupancy. if no damage or breakage occurs. * Price includes all taxes and service charges. Cleaning service also available at additional cost. GO ABROAD with us for an intimate eight night adventure through the panoramic hill towns and impressive countryside of Tuscany and Umbria. Imagine you had a good friend, a native Italian, who knew all of the best places to see, eat, drink great wine, and could introduce you to some of the locals. We have that friend, and we’re sharing him with you! Salvatore Gangale, is the Castello delle Serre owner and a native to Italy. Salvatore brings with him over forty years of experience, that assures you that you will relish in the most authentic meals and local experiences during this stay as he takes you through Italy as only a local can, effectively capturing the essence of la dolce vita. Cost: $3,899 per person, includes round-trip airfare! Set sail with V. Sattui Winery for 10 days on Oceana’s Marina for perhaps our greatest cruise to-date, from Buenos Aires to Rio de Janiero. Hot on the heals of a successful and sold out Australia to New Zealand wine cruise, we are delighted to announce our next adventure. Join V. Sattui President, Tom Davies and Director of Winemaking, Brooks Painter for an exploration of South America in 2021! From Argentina’s vibrant capital city of Buenos Aires to the highest peaks of Sugar Loaf Mountain in Rio de Janiero, together we’ll explore breathtaking scenery, pristine beaches, impressive architecture and of course, exquisite wines and culinary delights as we visit wineries in Uruguay and Southern Brazil. Luxuriate in the finest accommodations aboard Oceana Cruise’s MARINA and indulge in onboard dinners along with edu-taining food and wine experiences hosted by Winery President Tom Davies and Director of Winemaking Brooks Painter. Extend your adventure with an optional 3-day pre-cruise Mendoza land package for curated shore and guided winery tours. This once-in-a-lifetime cruise will sell out fast. Please act quickly if you are interested. We look forward to this amazing cruise and sharing an abundance of V. Sattui wines, fun and memorable adventures. To book your stateroom or suite contact our exclusive travel partner, Food & Wine Trails, at (800) 367-5348. A luxury Castle-Hotel that is one of the most beautiful landmarks in the Tuscan countryside. V. Sattui Winery is a partner in Casterllo delle Serre. Centrally located midway between Chianti Classico and the Crete Senesi, the Castle sits above the charming medieval town of the Serra di Rapolano. It is just a short drive to many of the treasures found in Tuscany and Umbria. Choose from 14 rooms, including 2 suites, along with a pool, loggia bar and morning breakfast. Stay and dine with our friends in the Italian Alps in the world-class ski resort town of Madesimo. Chef Stefano Masanti and his wife, Raffaella, own this boutique hotel and Michelin-Star restaurant. In their off-season (April -October) you will find them at V. Sattui Winery. But the rest of the year they here, creating delicious food and running their boutique 8-room hotel. The hotel rooms can accommodate parties of 2, 4, and 6 people. The rooms are larger then most European standard hotel rooms. The Sport Hotel Alpina has complimentary wi-fi, and breakfast is included with your stay. Il Cantinone Restaurant is open for dinner and offers a nightly tasting menu of 80 euros per person. Wine pairings are additional for 60 euros. Stefano’s menu is filled with creative, original presentations of simple, delicious ingredients. Gambero Rosso, a well-respected food and wine publication, has named Il Cantinone the best Italian restaurant that promotes local food and farmers, and the restaurant was named one of the best 60 restaurants in Italy and top 10 in Lombardia by the L’Espresso Guide to Italian restaurants.